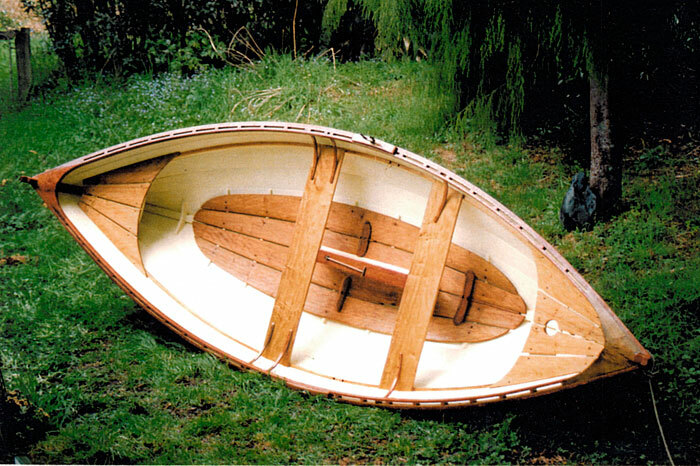 Peter Oliver used a wide variety of wood in the construction his his Beach Pea, LITTLE WHIO. 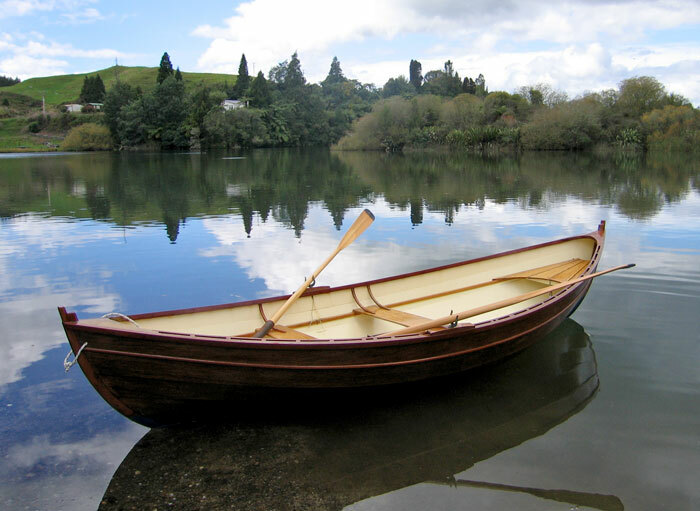 While the strakes are standard marine plywood, he used tanekaha to make the birdsmouth style mast, spoon oars, and sprit; kauri for the thwart risers; kwila for the gunwales, and pohutukawa for the stems. Peter used both pohutukawa and puriri for the breasthooks and knees, and mangeao for the keel, thwarts, and floorboards. 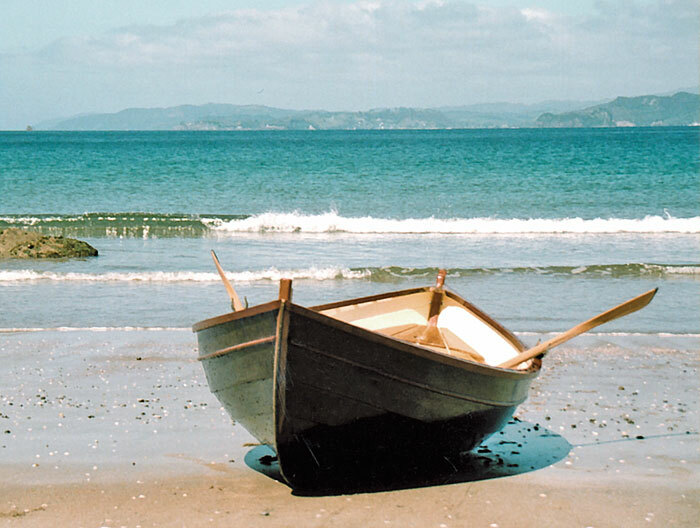 He write that LITTLE WHIO looks great, rows beautifully, and sails pretty well, particularly once he added a rudder.